Roger Klimcke Racing can build a complete car up to SVA standard or carry out a part build. 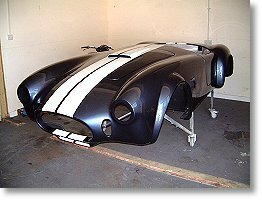 Many builds now are for DAX Sportscars International including their Rush, Tojeiro Cobra replica and Kamala range. We have already built many cars, including ally bodied Cobras, for both UK and European customers. 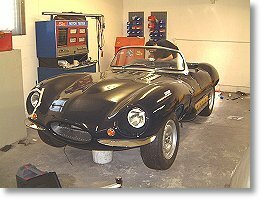 If you prefer to finish the car yourself, we can build all the mechanical parts up for you including fitting the engine and gearbox, with the body fitted all ready for you to do the trimming, electrics, bright work, and painting.